Welcome to the $500 BedAndBreakfast.com Gift Certificate Giveaway! Michael Phillip Cash recently released his second book, Stillwell: A Haunting On Long Island. Paul Russos wife just died. While trying to get his familys life back in order, Paul is being tormented by a demon who is holding his wife's spirit hostage on the other side. His fate is intertwined with an old haunted mansion on the north shore of Long Island called Stillwell Manor. Paul must find clues dating back hundreds of years to set his wife's soul free. 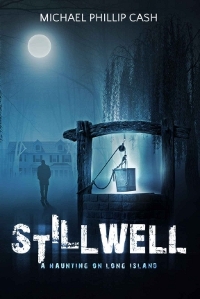 To celebrate the release of Stillwell: A Haunting On Long Island, Michael is giving away a $500 gift card to BedAndBreakfast.com. Use this gift card to plan a romantic getaway for two. Who knows, maybe you'll even find a few spirits when you stay at one of the nearly 4,000 participating inns across the US and Canada. Pack your bags and enjoy your stay. Be sure to pick up a copy of Stillwell and enjoy! Ends at 11:59pm EST on July 22nd, 2013. Bloggers, if you'd like to participate in a giveaway event like this one, sign up for Giveaway Promote's weekly giveaway events newsletter.